We’d love your help. 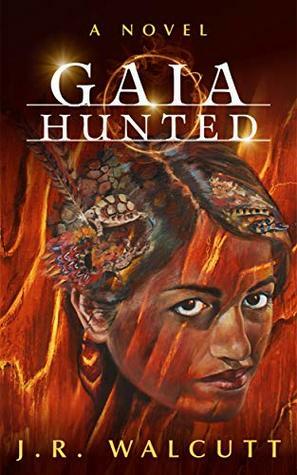 Let us know what’s wrong with this preview of Gaia Hunted by J.R. Walcutt. When a Salem psychic tells middle school teacher Mattie Fisher that she’s a reincarnated god, Mattie isn’t buying it for a second. But then the psychic says that the dreams that haunt her waking life are actually memories of her past lives, and if she undergoes a ceremony, she will finally understand the trut There are gods controlling us, and they are called the Ascended. When a Salem psychic tells middle school teacher Mattie Fisher that she’s a reincarnated god, Mattie isn’t buying it for a second. But then the psychic says that the dreams that haunt her waking life are actually memories of her past lives, and if she undergoes a ceremony, she will finally understand the truth about herself. What Mattie doesn't realize is that there's more at stake than just an escape from endless nights of depressing Netflix binge-watching. A god of war is hunting her—forcing her to race from the deity-filled streets of New York to sacred Hindu temples to the lawless Amazon jungle. Helping her is Jared Stone, a web developer who must forget his own shattered life in order to find redemption through Mattie's salvation. If Mattie is to survive and restore balance to the world, she must uncover and accept the powers buried within her. Yet to do so, she will have to confront an ancient secret, which could either bring her ultimate wisdom or complete madness. To ask other readers questions about Gaia Hunted, please sign up.